A Nazi conspiracy in the heart of modern-day Manhattan—the blockbuster New York Times bestseller that became the classic film thriller. At Columbia University, Thomas "Babe" Levy, a postgrad history student and aspiring marathon runner, is working to clear his late father's name after the scandal of his suicide, triggered by the McCarthy hearings and accusations of Communist affiliations. In Paraguay, Dr. Christian Szell, former Nazi dentist and protégé of Josef Mengele, has been in exile for decades. Infamous as the "White Angel of Auschwitz," he's leaving his South American sanctuary to smuggle a fortune in gems out of New York City. Meanwhile, in London's Kensington Gardens, an international assassin known only as Scylla has completed a hit. A man with too many secrets and twice as many enemies, Scylla has become a target himself, with only one place left to turn. Then, when Babe's revered older brother, Doc, pays him a fateful and unexpected visit, it sets in motion a chain of events plunging Babe into a paranoid nightmare of family betrayal, international conspiracy, and the dark crimes of history. Now, the marathon man is running for his life, and closer to answering a single cryptic and terrifying question: "Is it safe?" William Goldman's Marathon Man was adapted by the author for the award-winning 1976 film starring Dustin Hoffman and Laurence Olivier. Upon its publication, the Washington Post called it "one of the best novels of the year," and it remains a powerful, horrifying read. In the words of #1 New York Times–bestselling author Harlan Coben: "I found myself racing through it. 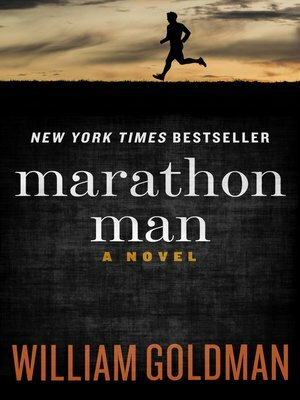 You could have put a gun to my head, and I wouldn't have been able to put [Marathon Man] down." This ebook features a biography of William Goldman.